Soaring at 10 m high, the entrance portal to the GCV signifies a prominent and welcoming entry to the student zone. 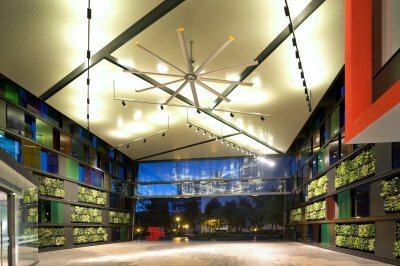 The portal shelters a large, naturally-ventilated, multi-purpose plaza space where community exhibitions or functions are regularly held. 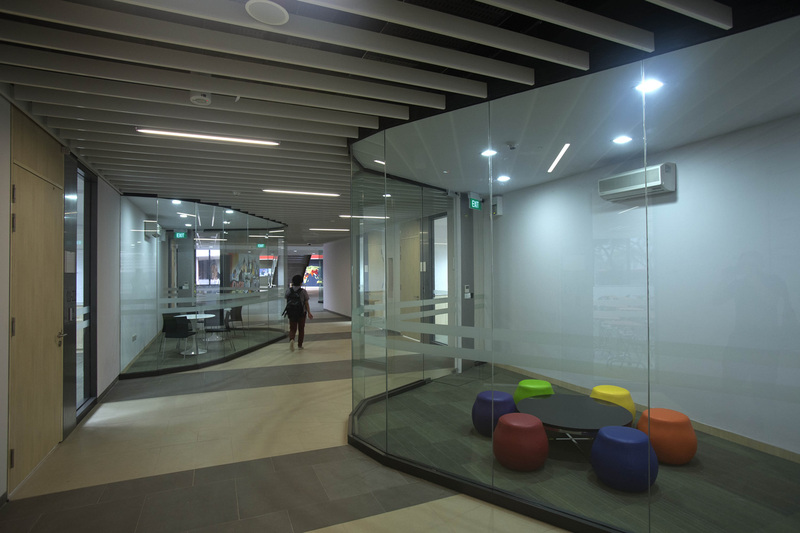 Student activity rooms designed as colorful boxes line the passage leading to the teaching laboratories. It brings on added layer of activity to the space. 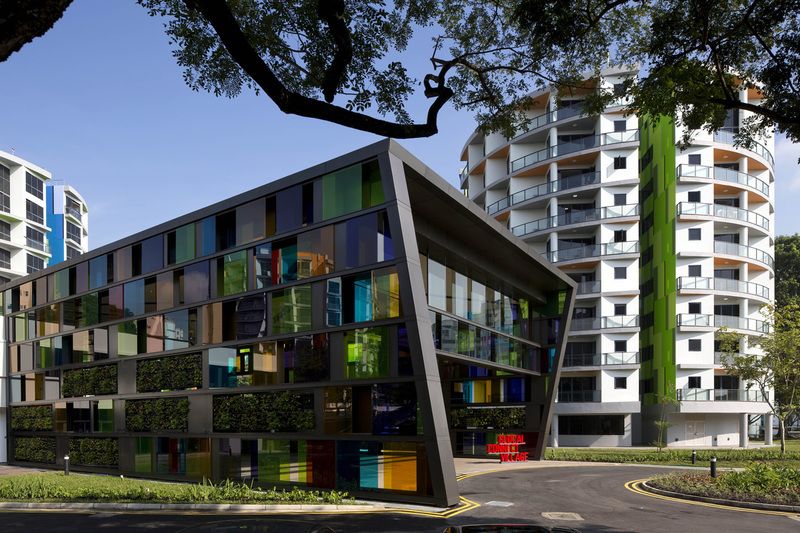 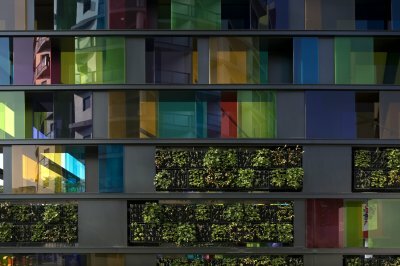 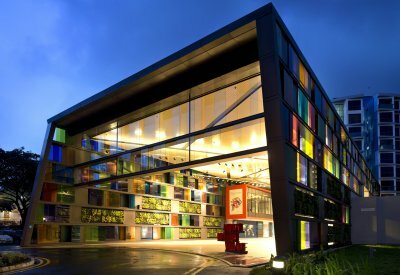 Reflecting the dynamic energy of the youths, the steel portal is cladded almost entirely in a dizzying array of coloured glass and vertical greenery.